Commercial buildings that have carpets throughout understand the cost in maintaining the carpet versus replacing it. Replacing carpet, especially in a commercial setting, can be very expensive. Most carpet can be kept vacuumed and cleaned when it comes to battling most stains, but not bleach spots. When carpet suffers bleach spills the spot stands out and becomes a major eyesore, which reflects on the commercial property or business. Even new carpet that gets bleach spots are often wasted and replaced. This can cost the commercial management thousands of dollars. Before spending money on costly replacements consider how you can save money by using bleach repair services. Carpet Dye-Tech will explain how bleach stain repair works and how it can help save money. Bleach spots are very common in both residential and commercial settings. They are often due to improper cleaner and/or accidental spills. There are a number of other sources for bleach spots that happen in commercial settings. For example, hotels and resorts can get bleach spots from visitors that use hygiene products containing bleach like ingredients. When bleach spots occur, it is not like a standard stain where the carpet color is tainted with contaminants such as juice, paint and dirt. Instead bleach stains remove the color out of the carpet. Bleach isn’t like a typical stain in that you can’t simply clean the bleach spot to remove it. This is why so many commercial properties will replace their carpets. This is expensive and a waste. 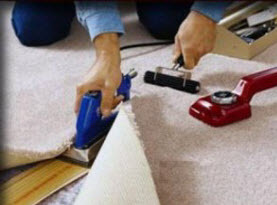 Instead of replacing carpet because of a bleach spot, repair it by re-coloring the carpet. 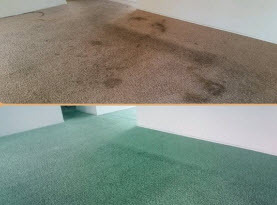 Since the bleach removed the dye the dye can be put back into the carpet with bleach spot repair services. A professional carpet dyeing service can come and evaluate the bleach spot, the carpet’s original color, and the size of the spot. Carpets with patterns or solid colored carpet can be easily repaired. 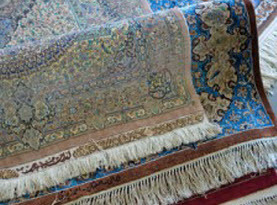 The carpet dye specialist will often clean the site to make sure no dirt or other contaminants interfere with the dye. They will also ensure there isn’t any bleach remnants remaining inside the carpet which can ruin the dye that is being applied. Once the site is cleaned, the dye specialist will apply the dye to the bleach spot. Depending if the carpet is solid or has patterns, more than one dye may be needed. When dye is applied over a bleach spot, it is often done by hand as the technician applies one thin layer of dye at a time. Between each application, the dye is blended with a small vacuum like tool and the dye is applied with small drops at a time. Techniques vary however and it often takes the experience of the dye specialist to know how much or how little dye is needed. 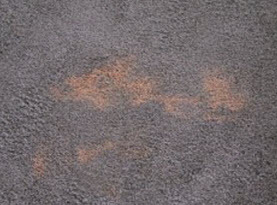 The extent of bleach spots vary due to the length of time the bleach was on the carpet and the amount of dye that was stripped out. Often if the bleach is cleaned fast enough, the spot isn’t too bad. However, bleach that was left on the carpet can remove all of the dye. Essentially each spot varies as does the repair. When your commercial building has bleach spots, don’t replace the carpet! Contact Carpet Dye-Tech and see how we can save you money. For professional carpet dyeing, bleach spot repair and more, contact Carpet Dye-Tech and schedule our services today.